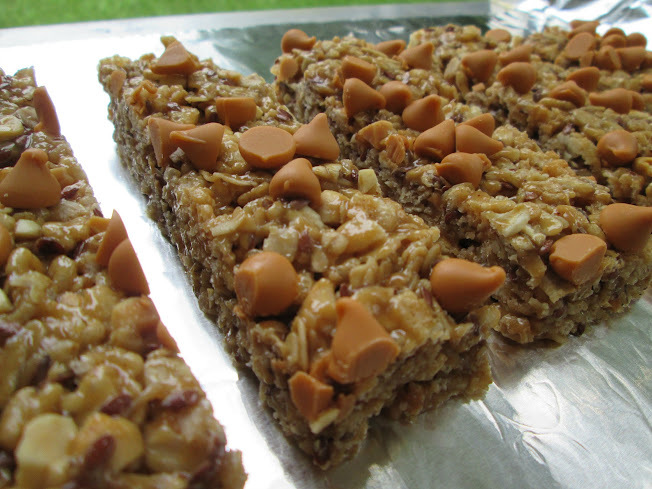 Are you a crunchy granola bar person, or a chewy granola bar person? I’m the latter. My favorite granola bars are the Sunbelt Bakery ones. and it has been a quest of mine for a long time to find a recipe that would duplicate their soft, chewy texture. I felt that baking them wasn’t the way to go, as all the ones I baked were just a little too firm, a little too dry, and not chewy enough. I made lots of my own recipes in the search to find that perfect recipe, and never did find it. Until Sarah. She posted a recipe for Chewy Coconut Oil Granola Bars and my search ended there. I’m tellin’ ya, coconut oil is such a good friend in the kitchen. 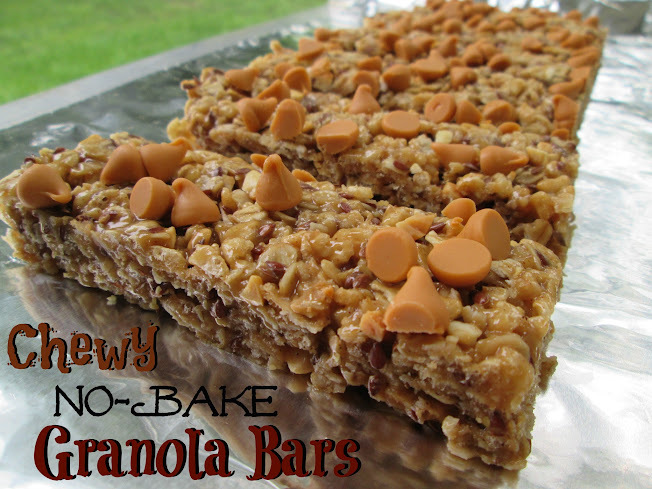 Makes great cookies, coffee, and granola bars! These are exactly what I was looking for, and a little healthier than Sunbelt Bakery’s with the flaxseed, honey, coconut oil, and lack of processed/weird ingredients. And totally crazy delicious! 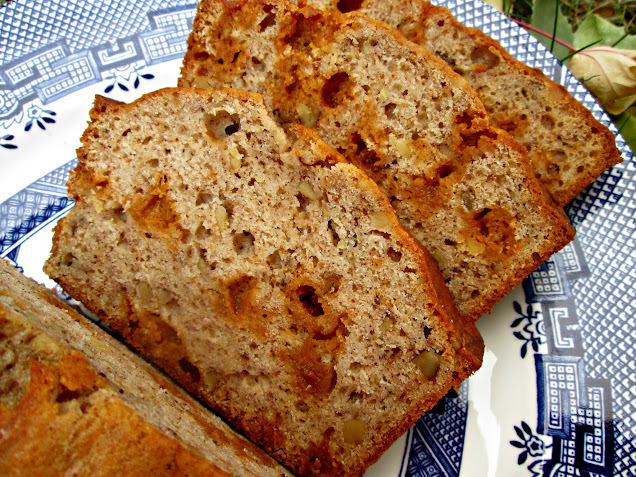 *You can use wheat germ, wheat bran, or more rolled oats in place of the flaxseed. In a large bowl, stir together cereal, oats, flaxseed, and mix-ins. In a saucepan, stir together honey, brown sugar, and salt. Turn heat onto medium-low, then stir constantly until mixture comes to a boil. Boil for 60 seconds, then remove from heat and gently mix in coconut oil and peanut butter, careful not to splash. Stir in vanilla and cinnamon. Pour wet ingredients over the dry and mix to combine. Press mixture into prepared pan, then evenly distribute chocolate chunks over top. If you mix the chocolate in, it will melt. Press into granola mixture with a spatula then cover and refrigerate for 2 hours to set. Cut into bars and wrap in aluminum foil or wax paper for easy transport. Posted in Breakfast, Snacks & Appetizers, Sweets and tagged butterscotch, chewy, easy, granola bars, no-bake, peanut, peanut butter, recipe, snack, stovetop, summer, Sunbelt Bakery. Bookmark the permalink. Yes, I know Harry Potter has been seriously waning in popularity since the turn of the century, but it’s time to break out the capes and witch hats again because I think this drink is seriously going to bring on a Harry Potter reprisal! For those who DARED not to read the fabulous book series that is Harry Potter, let me tell you about this drink called butterbeer. Like our muggle root beer is non-alcoholic, so is this favorite drink among the wizarding world. I don’t recall how J.K. Rowling described the taste in the series, but I did come away with the impression that it was the most wonderful drink in the entire world and I imagined it as sweet and smooth and creamy. I always wanted to try it and apparently I’m not the only one because if you Google “butterbeer recipe” you’re going to come up with a slew of them. 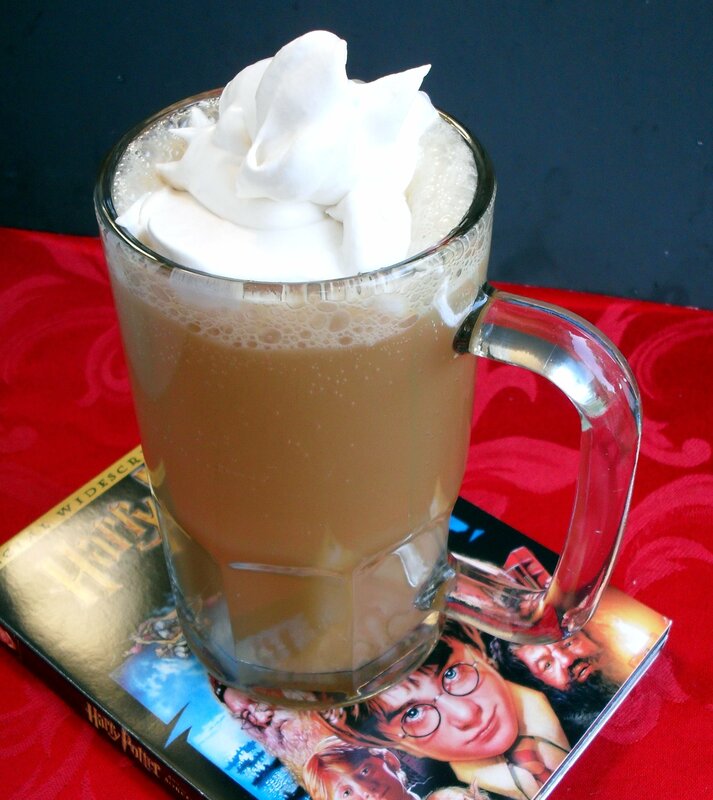 Most recipes assume that the base flavor for butterbeer is butterscotch and I went with that here in this recipe. It is seriously sweet and seriously good. And seriously fattening. Which is why your kids will love you for serving it at their birthday & Halloween parties. Let me tell you in advance though, you’re going to regret it if you don’t at least double the amount of whipped cream. Butterscotch and whipping cream equals whipped cream nirvana. I could have just eaten that alone and been happy. 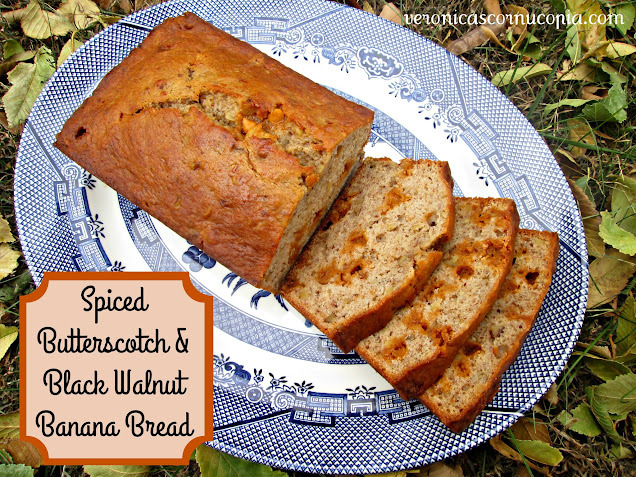 I’m sending this recipe over to Cheryl from The Southern Cookbook for the BSI (blogger secret ingredient) contest featuring butter this week. I seriously would probably never have made this scandalous drink (I mean, you’re drinking butterscotch syrup with cream soda, for heaven’s sake! Topped with butterscotch whipped cream! Scandalous!) except it was the first thing I thought of in connection to butter. And yes, this drink really does have butter in it. I’m kinda horrified at myself all over again. But it was worth it–it’s so good! In a small saucepan over medium heat, combine the brown sugar and water. Bring to a gentle boil and cook, stirring often, until the mixture reads 240 on a candy thermometer. Stir in the salt, vinegar, and cold butter until melted, then stir in 1/4 cup of the whipping cream. Scrape into a 2-cup glass measuring cup and set aside to cool to room temperature. You can place the butterscotch syrup in the fridge to cool it faster, but don’t let it get cold or it will be difficult to mix with the cream soda. Once the mixture has cooled, stir in the rum extract. In a medium bowl, combine 2 tbsp of the brown sugar mixture and the remaining 1/2 cup of heavy cream. Use an electric mixture to beat until it reaches soft peaks. To serve, divide the brown sugar mixture between 4 tall glasses (about 1/4 cup per glass) add 1/4 cup cream soda to each glass, then stir to combine. 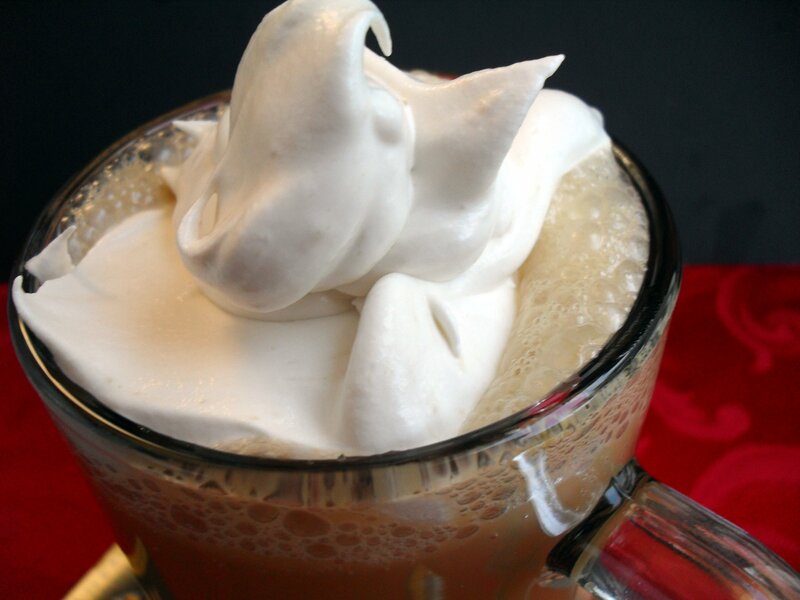 Fill each glass nearly to the top with additional cream soda, then spoon the whipped cream on top. Posted in Condiments & ETC. 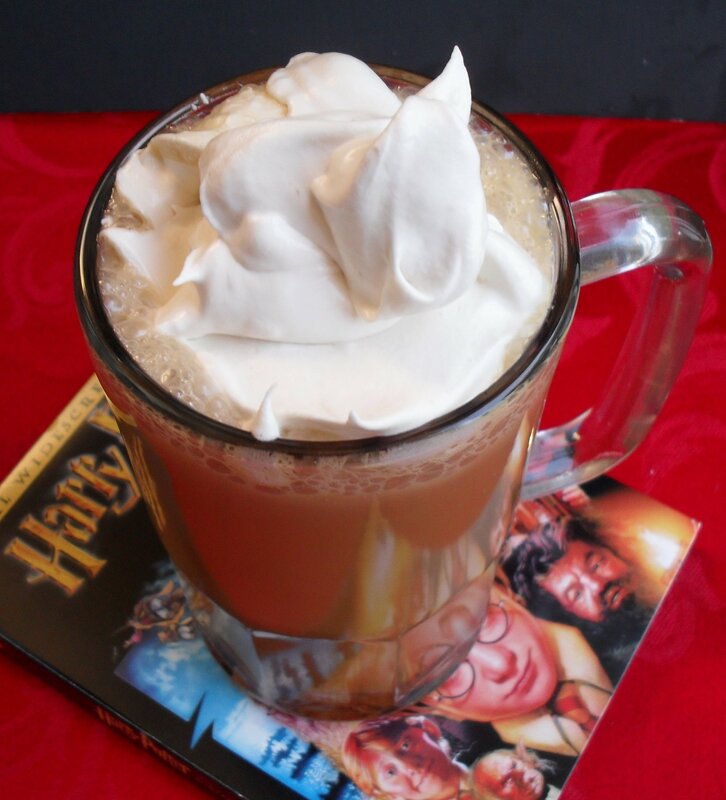 and tagged butterbeer recipe, butterscotch, cream soda, Harry Potter, Hogsmeade, witch, wizard. Bookmark the permalink. Kim, Krista, & Pillsbury inspired this recipe. Kim posted a “Butterfinger Cake” recipe on her MySpace blogrecently, which reminded me of the cake my friend, Krista, made for her birthday last year (she used toffee instead, along with a different kind of cake). Then I found a recipe on the side of my German Chocolate Cake mix that was basically Kim’s Butterfinger cake but with caramel instead of butterscotch. I figured all these similar recipes was a sign that meant I was to make the cake and FAST. So I did. I will post the recipe I made up, then put the Pillsbury recipe below it since that one is probably better. Guess it depends on what kind of flavors you prefer! If you love butterscotch, you will love this cake. Reserve ½ cup of butterscotch syrup & set aside. Prepare cake according to package directions in a 13×9 pan (my picture shows a small pan b/c I chose to make two small cakes so I could give one away). Squirt 1/2 cup of the butterscotch syrup out and set aside. As soon as the cake’s out of the oven, poke it all over with a fork and squirt what remains of the bottle of butterscotch syrup over the top, spreading with a spatula so it can absorb while the cake cools. Fold the ½ cup reserved syrup into the cool whip and spread over the cake once it is COMPLETELY cooled. Sprinkle Heath bits over the top and drizzle with ganache or fudge topping. Keep refrigerated until serving. *Veronica’s notes: the reason I left out the sweetened condensed milk is that I used syrup instead of the thick ice cream topping and figured it was thin enough to soak into the cake without adding the milk. I would recommend using the thicker butterscotch topping in a jar & mixing it with sweetened condensed milk (like in the recipe below) b/c it only soaked in partially and there’s a thin layer of syrup resting on top of the cake still, a day later. Of course, that could be b/c I poked it with a fork instead of making big unsightly holes with a wooden spoon as directed below, but I couldn’t bring myself to uglify the cake that way, even if it was going to be covered up. I’m weird. Either way, you’re probably better off following Pillsbury’s instructions vs. mine. The cake is still REALLY good (so good my gut is about to burst from overeating it), but if you want all that gooey butterscotch really soaked in well, don’t follow my directions. Bake cake in 13×9-inch pan as directed. In a small bowl, mix condensed milk and caramel topping, reserving 1/2 a cup. Pour remaining caramel mixture over cake; cool completely. Place whipped topping in medium bowl and fold in remaining caramel mixture. Cover loosely and refrigerate until served. Posted in Cake & Frosting and tagged butterscotch, cake, german chocolate, toffee. Bookmark the permalink.